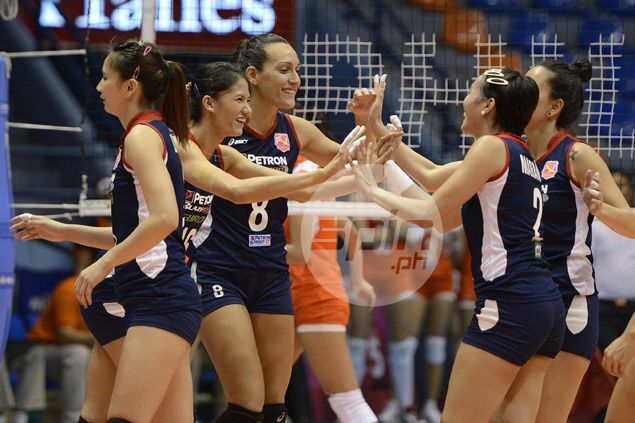 THE Philippine Superliga has another loaded season set for next year. PSL president Ramon “Tats” Suzara said there will be a handful of local events as well as international tournaments. The league will tip off with an Invitational Cup in February followed by a beach volleyball tournament in May. The All-Filipino Conference is set in June where players from the University Athletic Association of the Philippines and National Collegiate Athletic Association are expected to make their mark against elite competition. The league's centerpiece, the import-flavored Grand Prix, is set in October followed by another beach volleyball tournament in December to cap the year. The PSL is also set to host an international tournament, the AVC Asian Women's Club Championship Championship, and possibly the FIVB World Women's Club Championship next year. The PSL's 2016 calendar will be set for approval by the team owners during the league's planning session on November 11. "Due to our tremendous success this year, we have decided to treat fans to a year-long activities of intense volleyball action," said Suzara, an executive of both AVC and FIVB. Suzara said team owners have decided to do away with the per-conference agreement with players and will now offer annual contracts that will not only secure their future, but will also compel them to play only for their mother teams in the PSL. So far, only three PSL players are also seeing action in another league. "It was already agreed in principle and will be formalized during the planning session," Suzara said. "With the battle for the crown heating up, team owners are now serious to build a title contender. This is really a giant step towards a more competitive league next year." The PSL is enjoying a huge success this year with the inclusion of beach volleyball tournament and introduction of the video challenge system. The league also sponsored the deployment of three teams to international tournaments in China, Taipei and Vietnam. "Rest assured that we will double what we have achieved this year," Suzara said. "And we're doing all of these for the love of volleyball."